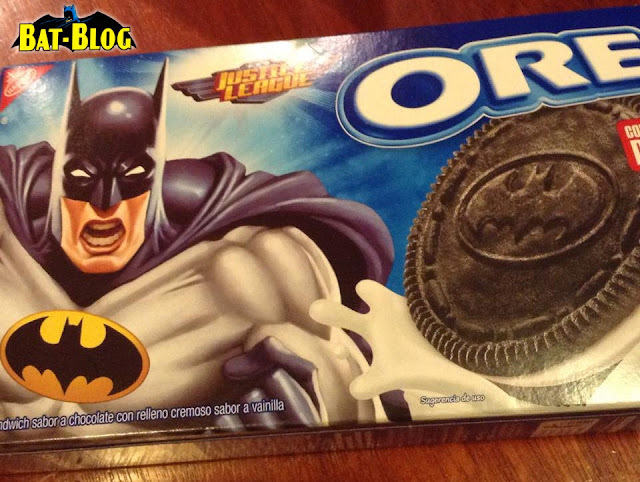 BAT - BLOG : BATMAN TOYS and COLLECTIBLES: Justice League #BATMAN OREO COOKIES Show-Up in Mexico!! 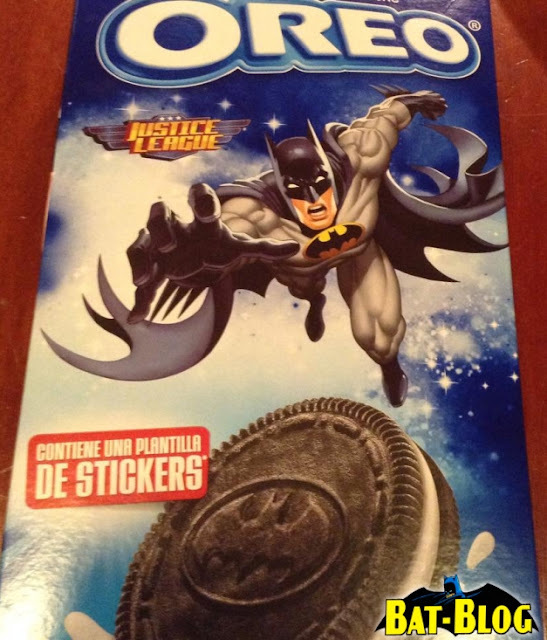 Justice League #BATMAN OREO COOKIES Show-Up in Mexico!! Here's some "Batman Collector news" that I am actually super-excited about! Right now, in Mexico, Nabisco is selling "BATMAN OREOS"!! Yes, Chocolate Cookies with the Batman Logo on them! It also looks like they come with some FREE STICKERS so that's kinda neat. They come in a double-sided box (one side meant for displaying horizontally, the other, a "vertical" design). I totally love the graphics on here and I seriously want a few boxes of these. They're crazy-cool! If someone in Mexico could help me out then please let me know, thanks!! Whoops, oh yeah, a special THANK YOU goes out to a friend of ours named Diego. He is a fan over at the BAT-BLOG FACEBOOK page where he shared these wonderful photos. Gracias Diego!